We aim to put a smile on the faces of disadvantaged children in the Reading area. We help children living with poverty and other disadvantages. They may be young carers, for example; or living in a family affected by drug taking, physical abuse, chronic illness or disability; or they may have a disability or illness themselves. We distribute toys at Christmas to children aged 0-16 through our ﻿Toys & Teens Appeal﻿. If our funds permit, we also provide ﻿outings﻿ throughout the year for children and their families who couldn't afford to go otherwise. Reading seems so prosperous that many people might find it hard to imagine there are desperately deprived families here. But in 2016, 24% of Reading's children were living in poverty - that's 10,181 children (source: The End Child Poverty Coalition).All the families referred to us are in genuine need. We aim to offer them some relief from the harsh day-to-day realities of their lives - some of the extras that social services and other agencies can't provide. In 2017 over 1,350 children received a sack of toys at Christmas as a result of our ﻿﻿Toys & Teens Appeal﻿﻿. 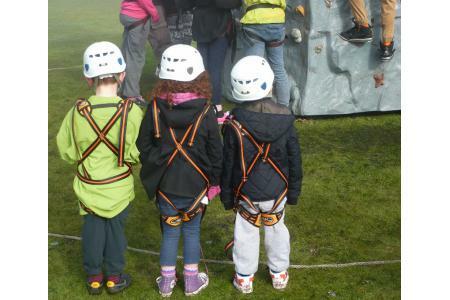 We also took 2 coaches of local disadvantaged families to Odds Farm for the day, arranged an outing for 100 children on the autistic spectrum and their families to Camp Mohawk, and took 300 children and their families to Chessington World of Adventures! We welcome volunteers to help us with the Toys and Teens Appeal in early December: delivery drivers, van loaders, toy sorters and packers, tea and sandwich makers. We also welcome volunteers to join our friendly committee, which meets about eight times a year. We especially need people with basic computer skills, to use email, produce small documents, and maintain our website and social media; also those with good organisational skills and experience in fundraising.